On July 22, 2012, representatives from Equatorial Guinea attended the 23rd Ordinary Session of the Council of Ministers of the Economic Union of Central Africa (UEAC) in Brazzaville, Republic of Congo, to discuss the reform of public markets, the ratification of the revised treaties and conventions signed several years ago; the Economic and Regional Programme (PER), and securing funding for the community. The meeting was a preparatory meeting for the Central African Economic and Monetary Community (CEMAC), which President Obiang attended. The Ministers at the UEAC meeting developed a list of community projects that were later submitted to the heads of State for approval. The projects discussed included the Regional Economic Program and the improvement of governance. Baltasar Engonga Ebjo, Minister of State for the Presidency in charge of Regional Integration, and Marcelino Owono Edu, Minister of Finance and Budgets, participated in the meeting as representatives from Equatorial Guinea. The CEMAC is consisted of members from Equatorial Guinea, Cameroon, the Democratic Republic of Congo, Gabon, Chad and the Central African Republic. Together, the members strive to promote regional economic cooperation. The African Economic Outlook report has listed Equatorial Guinea as a top destination in Africa for foreign private investment highlighting it as one of the countries with the highest GDP. The report provides analysis and updates on the economic, political and social status of African nations and is convened by the Organization for Economic Cooperation and Development (OECD) every year. According to this year’s edition, Equatorial Guinea has one of the highest Gross Domestic Product (GDP) per capita in the continent. Despite economic challenges in 2010, the country saw a growth of seven percent in 2011. “This upturn was sustained by renewed activity in the oil sector and public investment,” reads the report. The report also predicted that Equatorial Guinea would see a growth of four percent in 2012. It recommended that the country continue its pursuit to diversify the economy in order to further reduce poverty and improve living conditions for the population. Equatorial Guinea’s top ranking on the African Economic Outlook report shows President Obiang’s efforts to expand the oil sector and public investment in the country. Vicente Ehate Tomi, the Prime Minister in Charge of Administrative Coordination of Equatorial Guinea, inaugurated the National Program for Food Security (PNSA) in Bioko on July 17, 2012. The food security program is reflective of the government’s efforts to improve the country’s public health sector, which was included in Horizon 2020, an initiative to reduce poverty and promote development. The government of Equatorial Guinea recently launched the first telecommunications infrastructure company, GITGE (Management and Maintenance of Telecommunication Infrastructures organization in Equatorial Guinea), to optimize the national telecommunications service with the installation of fiber optics that currently link the capital city of Malabo and Bata. This investment aims to significantly improve the quality of communications in the country. Through GITGE's management, the operators will be able to process information in a much more efficient way, such as through the use of fiber optics. GETESA, (Equatorial Guinea Telecommunications) is the first operator in the country to partner with GITGE. Equatorial Guinea’s President Obiang Nguema Mbasogo is traveling to Beijing, China to attend the 5th Forum on China-Africa Cooperation (FOCAC). The conference will last from July 19-20th and will focus on ways to strengthen China-Africa relations and enhance trade. According to Chen Deming, China’s commerce minister who was quoted in the China Daily, China-Africa trade hit a record high of $166.3 billion in 2011. He stated that China’s investment in Africa reached $14.7 billion by the end of 2011 with over 2,000 Chinese businesses located in the region. Under the theme “build on past achievements and open up new prospects for the new type of China-Africa strategic partnership,” this year’s forum will review the progress made since the 2009 conference in Egypt and develop a plan for the next few years. More than 50 African countries, including Equatorial Guinea, will participate in FOCAC this year. Together, they will work with China to improve dialogue, stimulate development and address issues of mutual interest. President Obiang’s participation in FOCAC 2012 reflects the government of Equatorial Guinea’s recent efforts to expand trade relations, encourage foreign investment in Equatorial Guinea, and seek a broader range of development partners. This May, President Obiang participated in Expo 2012 in Yeosu, South Korea, and in February, he met with Ugandan President Yoweri Museveni to discuss strengthened bilateral relations. Yesterday, the Study Center for Popular Democracy (CEDEPU) in Chile awarded President Obiang Nguema Mbasogo of Equatorial Guinea with the academic title Honoris Causa. Members of the CEDEPU commission, including the President of CEDEPU Chile, Jacqueline Andrea Hernandez, participated in the ceremony at the Sipopo Conference Center. This is President Obiang’s fifth academic honorary degree. The others titles were awarded by the universities of Yacambú (Bolivarian Republic of Venezuela), Costa Rica, St. Petersburg (Russia) and National University of Equatorial Guinea. The government of Equatorial Guinea today said that the order of arrest issued by the French justice system against the Second Vice President of the Republic of Equatorial Guinea, Teodoro Nguema Obiang Mangue, is a violation of the Vienna Convention, bilateral agreements between the two countries and international law, which gives full jurisdictional immunity to senior government officials. In a statement, the government charged that French authorities raided and seized property on diplomatic premises in Paris earlier this year, completely violating international law and disregarding the jurisdictional immunity to which the highest representatives of sovereign states are entitled. “This arrest order is against international law and deals with supposed infractions that do not exist in Equatorial Guinea, and it does not have any factual proof other than the accusations of political opponents,” said the government statement. A full text of the government’s statement can be found here. Improvement of public health and health infrastructure is a national priority in Equatorial Guinea. Equatorial Guinea and Botswana lead Africa in per capita investments in health care, according to a World Health Organization (WHO) report, but the gap in spending between Africa and the rest of the world is still a concern. The statistics are from the WHO’s 2012 Health Financing and Health MDGs (Millennium Development Goals) Scorecard and Africa’s first Multi Year Health Financing Trends Analysis. The surveys show Equatorial Guinea’s per capita annual spending at $612 and Botswana’s at $442. The survey results were presented by Rotimi Sankore to the WHO’s Joint Conference of Finance and Health Ministers, which met in Tunis July 4-5. Sankore is also coordinator of the Africa Public Health Alliance and 15%+ Campaign, a non-profit organization promoting health development and financing across Africa, and secretary of Africa Public Health Parliamentary Network. Sankore described the gap in health investment between industrialized and developing countries as “too wide.” He said that investment in the Africa region is as low as $41 per person, with an overall 9.6.percent of budget in Africa dedicated to health. That compares with 16.9 percent in the Americas, 14.6 percent in Europe, and 14.4 percent in the western Pacific region. Average regional per capita spending is $1,566 in America and $1,677 in Europe, he said. The World Health Organization has urged African governments to increase investment in health. Equatorial Guinea’s per capita investment of $612 compares to South Africa at $228 and Morocco at $59, and neighbors Gabon and Cameroon at $127 and $16, respectively. Figures for each nation can be affected by the availability of private health care. Equatorial Guinea was ranked number 40 in percentage of national budget dedicated to health at 7.2%, which reflects the large share of the national budget dedicated to a broad range of infrastructure projects, including education, highways, electrification and communications. Sankore compared Equatorial Guinea and Botswana with Cuba, at $623, and Costa Rica, at $449. He said that although the investments were similar, the health outcomes are better in Costa Rica and Cuba due to better education and retention of health workers, greater availability of clean water, superior sanitation, hygiene and nutrition, more equitable distribution of health services, and better vaccine coverage. Improving the health infrastructure in Equatorial Guinea is one of the principal goals of President Obiang Nguema Mbasogo’s Horizon 2020 development program. Equatorial Guinea has heavily invested in its public health sector and contributed to international efforts to improve public health, particularly in Africa. The government donated $15.8 million to reduce malaria in children last May 2011. In 2010, the government donated $1.5 million and a headquarters facility to the World Health Organization to support research for global health. Equatorial Guinea has also provided technical assistance to the local United Nations Population Fund (UNFPA) to improve the effectiveness of its assistance program and has implemented a host of health programs geared toward improving the health of Equatorial Guineans. Basic health indicators such as rates of infant and child mortality have been improving steadily in the country, and the government is widely recognized for its efforts to eradicate malaria. 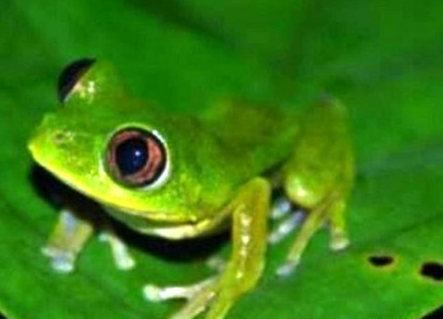 MALABO, Equatorial Guinea – July 5, 2012 –Researchers in Equatorial Guinea may have discovered up to four new species of amphibians on Bioko Island. They believe that the island may be a kind of “ark” for amphibians where species have developed immunities to at least some of the diseases that are currently affecting amphibian populations worldwide. The researchers, Patrick McLaughlin and Professor Gail Hearn, both from Drexel University, are part of the Bioko Biodiversity Protection Program (BBPP), a joint research effort by Drexel and the National University of Equatorial Guinea, with funding from the Exxon-Mobil Foundation. Ph.D. candidate McLaughlin and Professor Hearn began their research together in 2009, studying the distribution and abundance of frog species on Bioko Island for insight into specialization and analysis of potential threats to the habitat of vital importance and to the populations. On June 28, 2012, they issued the results of their study, which confirmed the initial estimates of high diversity of amphibians on the island. The results included four or more new species and the presence of two others that were thought to only exist in the Continental Region and are in danger of extinction. Overall, the study reveals a broad diversity that includes more than 35 species of amphibians divided into eight families. The results also confirm the presence on the island of chytridiomycosis, a disease that is fatal to amphibians elsewhere. The disease is widely extended on Bioko but not fatal, which suggests that the amphibians of Bioko have developed resistance to it. The future analysis will assess in detail the most endangered species and develop specific plans for the preservation of each. This study also revealed that Bioko contains many rare and endangered species, along with a host of other endemic species, and could be considered a kind of "amphibian ark" for the conservation of West Africa. According to Professor Hearn, the new species that McLaughlin discovered were vetted by other West African amphibian experts at a recent international workshop in Italy, which gave her reason to believe in their authenticity despite the morphological variability often found in these frogs. “We will be collaborating on the final species descriptions and will be including the still-pending DNA analysis,” she said. Bioko Island is located just off the coast of west central Africa, 20 miles from Cameroon. It is home to Africa’s greatest concentration of endangered primates and over fifty unique species of plants. 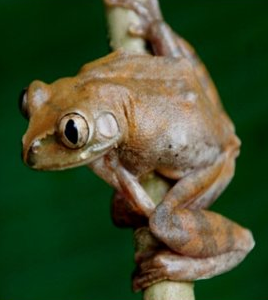 In addition, Bioko now has over 35 species of amphibians accounted for thanks to the work of McLaughlin and Dr. Hearn.